The German group has outperformed its Indian rival since they agreed a European steel joint venture last year, and now produces more than twice as much EBITDA. Tata could pay cash or give up dividends to close the gap. Walking away from the hefty synergies would be too painful. 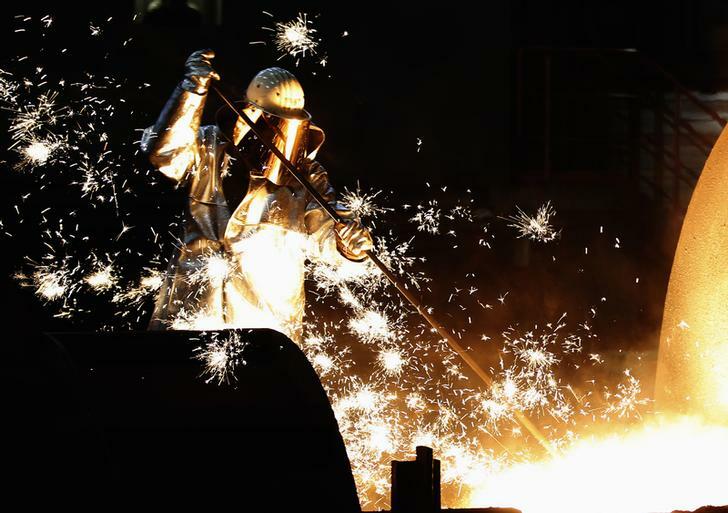 ThyssenKrupp and India’s Tata Steel are struggling to narrow a widening valuation gap as they seek to adjust debt and asset contributions in a planned merger of their European steel operations, Reuters reported on June 13, citing people familiar with the situation. The German company’s business has performed better than Tata Steel's since an initial deal was struck in September, requiring both parties to adjust what their operations are worth and leading to a valuation gap, four sources said. Options now include adjusting the amount of debt both groups will transfer to the venture or Tata Steel making a cash payment to ThyssenKrupp to settle the difference, these people said. Shareholders want ThyssenKrupp to demand better terms from the joint venture, Reuters reported on June 11. The shareholders believe the valuation gap is up to 3 billion euros ($3.5 billion) and that the German industrial company would need to address this in final negotiations. Bloomberg reported on June 11 that activist fund Elliott Management had sent a letter to ThyssenKrupp’s management highlighting the divergent performance. In September, ThyssenKrupp and Tata provisionally agreed to combine their European steel operations in a 50-50 joint venture, creating the continent’s second largest steelmaker. At the time, ThyssenKrupp said it would transfer pension and liabilities worth 4 billion euros into the venture. Tata said that it would to inject 2.5 billion euros worth of debt. A final deal was due to be presented by the end of June.